And what’s being done to solve the problem. A wealth of research tells us that social connections improve our mental, emotional and physical well-being, and the importance of social interaction is becoming more widely understood. But a recent survey cited in the Hindustan Times shows that India’s elderly population has a serious problem: almost half of those surveyed say they suffer from loneliness. The survey, titled Changing Needs & Rights of Older People in India, included 15,000 participants spread across 300 districts of 25 states and Union territories of India. Researchers found that 47.49 percent of elderly people surveyed reported being lonely. The numbers were even higher in urban areas, with reported loneliness among the elderly reaching 64.1 percent. According to the findings, living alone or only with a spouse were the greatest causes of loneliness. Poor health and a lack of social interactions were major factors, too. Fortunately, services are being created to help solve the problem. Aaji Care volunteers, for example, visit elderly clients a few days each week and take their companions to the doctor’s office, to grocery stores and even out to dinner and to weddings. 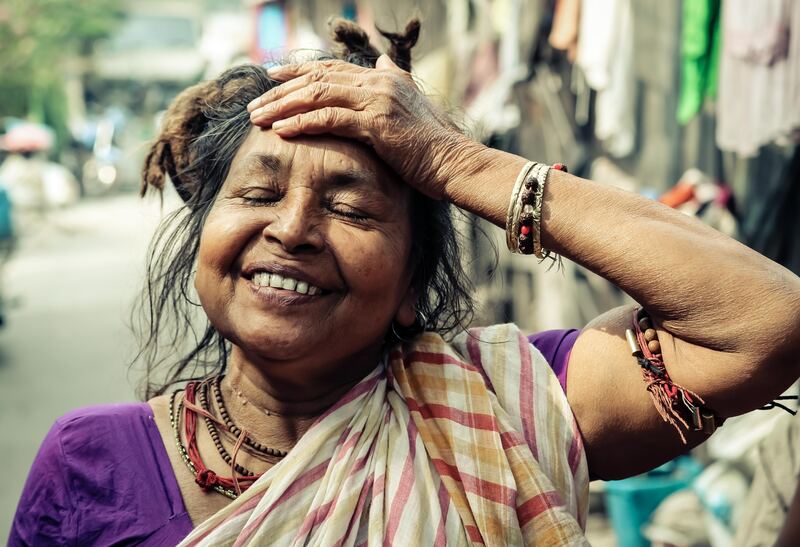 Not only is this volunteer work benefiting the elderly population of India, research shows that volunteering improves the volunteer’s well-being and happiness, too. The U.K. Takes the Loneliness Crisis Very Seriously. So Should We.